Windsor began their season with some very successful stretches that peaked at the Woodstock showcase with big wins over Brantford and Huron-Perth. With a heavy remaining schedule once the calendar turned to 2019, it is possible fatigue played a factor in the average play over the past few weeks. Key To The Series: Does Offense or Defense take control? It is cliché and there are a lot of series that could be determined by this statement, but this series is actually a battle of the London high octane offense against the staunch defense and superb goaltending of Windsor. There is little debate that Brett Harrison is the most talented goal scorer in the league this season as shown by numbers that haven’t been seen since the days of Nick Suzuki and Spencer Watson. Factor in Riley Wood, Jordan D’Intino and the quietly successful Cole Watson and the Jr. Knights have many avenues to look for that key goal. Staring down the vaunted London offense is the Windsor defense and goaltender Max Donoso, who has far and away claimed the title of top goaltender in the Alliance this season. While time has been split fairly even between Donoso and Ethan Handley, you have to wonder if at any point Donoso starts to gain a bigger split of time. It’s not just the goaltending for Windsor. They have some big defense on their roster and those without size, like Luca Pasciuta, are incredibly talented. Windsor also has some great two-way forwards led by captain Ray Hamlin. Jordan D’Intino – Largely forgotten due to a substantial amount of time missed due to an injury, D’Intino is still a big offensive threat as he was third in the Alliance in points per game this season. Adding D’Intino to an already loaded forward crop could present some high scoring affairs. Ray Hamlin – You could make the argument that Hamlin has been the best forward in the Alliance over the past few weeks. Missed some time early in the season but has finally hit his stride and is showing the potential has showcased at Bantam. A physical centre, Hamlin will be a huge reason Windsor can pull off the “upset”. This has the makings of a fantastic series and one that I see going the full five games (maybe even six if we’re super lucky). As much as I like the skaters on London and although I have lots of faith in Michael Simpson and Josh Kirton, I think Windsor has what it takes to pull away with the series win. Hamlin and Faust are two of my favourites in the loop this year and it’s hard to bet against Max Donoso. One thing is certain, whoever fails to come out of this series has a big chance at being in that final playoff series with a wildcard spot in the OHL Cup on the line. 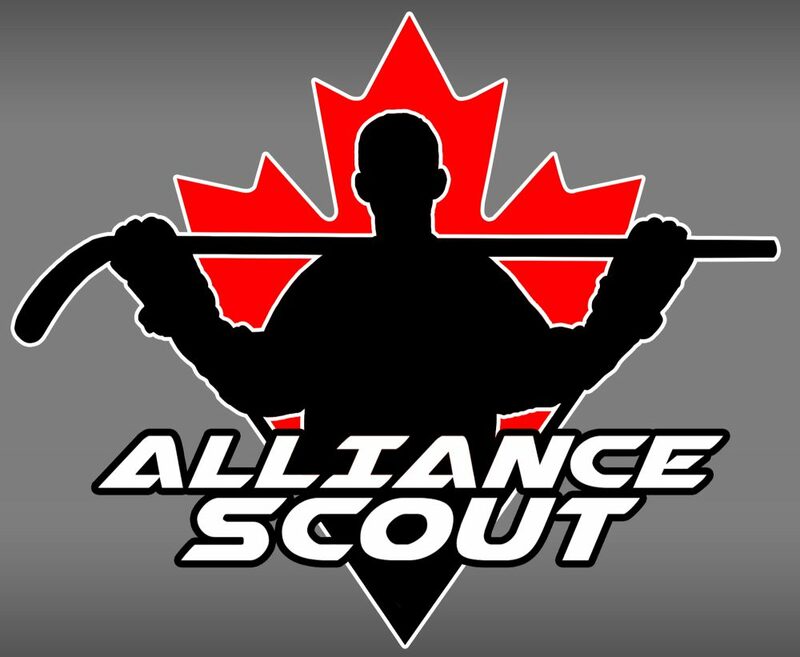 This entry was posted in alliance playdowns, London Jr. Knights, ohl cup, Windsor Jr. Spitfires and tagged brett harrison, cayden faust, ethan handley, jordan d'intino, josh kirton, london jr. knights, luca pascuita, michael simpson, nicholas beneteau, ohl cup, ohl cup 2019, ray hamlin, riley wood, spencer watson, tyler hotson, windsor jr. spitfires by Dave Coulson. Bookmark the permalink.